The trend of online shopping is increasing in Pakistan day by day. In addition to eCommerce, mCommerce is gradually spreading its wings across the Pakistan as many of the top Pakistani online stores has already introduced their mobile apps and others are in streamline. The scope of eCommerce in Pakistan is bright as a lot of companies are moving to the digital system of trading and doing business. Below is the list of top ten online shopping websites of Pakistan. All of these offers COD Cash on Delivery. 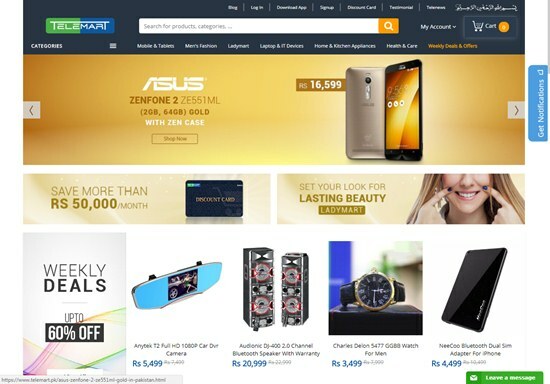 Daraz.pk is the most popular online store in Pakistan. 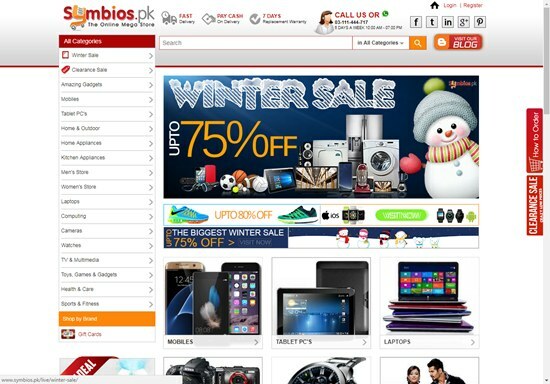 Kaymu.pk was also another popular online shop which is now merged with Daraz.pk. It is worth mentioning that these both were already owned by the same Germany based company, Rocket Internet which is also parent company of Lamudi, Carmudi and FoodPanda. With product range, variety of payment options, purchase protection, customer support, money back guarantee and discount offers on various occasions, Daraz.pk has become the leader in online shopping in Pakistan. You can also buy through its mobile app. 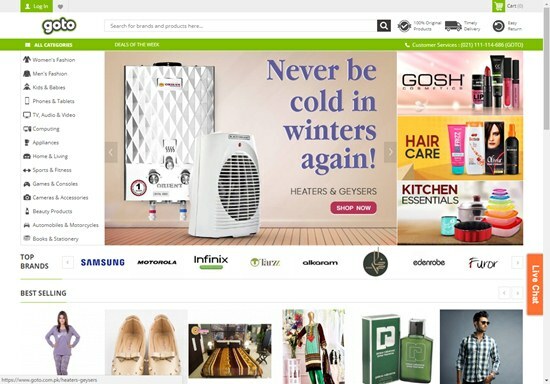 Homeshopping.pk is one of the largest online shopping store of Pakistan. It offers lots of products mainly in tech category. It has also its android and iOS application. 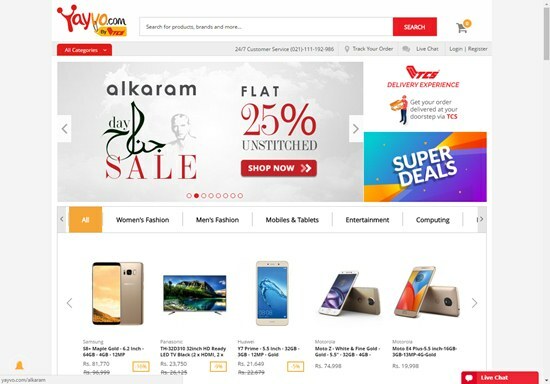 Yayvo.com is an online store owned by TCS. It was re-branded from TCS Connect to Yayvo.com soon after its launch. The delivery and payment system of Yayvo.com is very easy. Here you can buy electronic products, TV and multimedia items, soghaat/sweets/fruits, books, stationery, health and beauty products etc. It claims 100 percent original products, timely delivery and easy return. 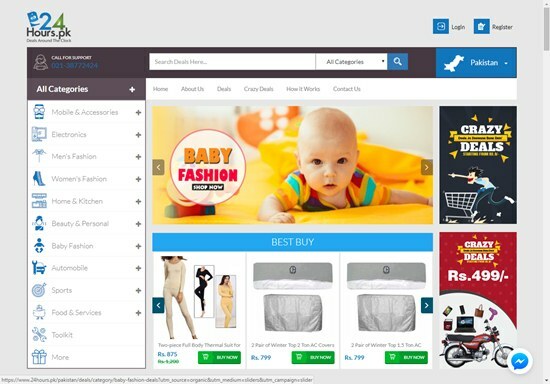 Products categories are men's, women's and kids fashion, phones, tablets, TV, audio, video, computers, home appliances, home decoration, sports, fitness, cameras, beauty products, automobiles, motorcycle spare parts, books and stationary. 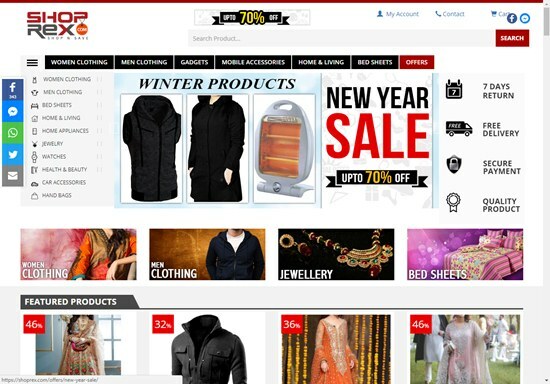 It is another leading and one of the oldest shopping site in Pakistan. 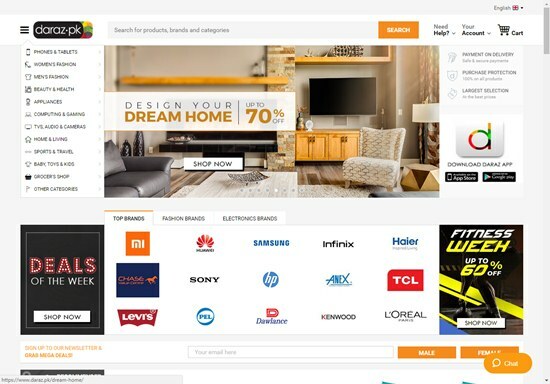 It has established it dominance in buying smartphones, computer, laptops, TV, projectors, electronics, cameras, video games, office products, health, fitness, home appliances etc. It is one of the top online shopping website in Pakistan. 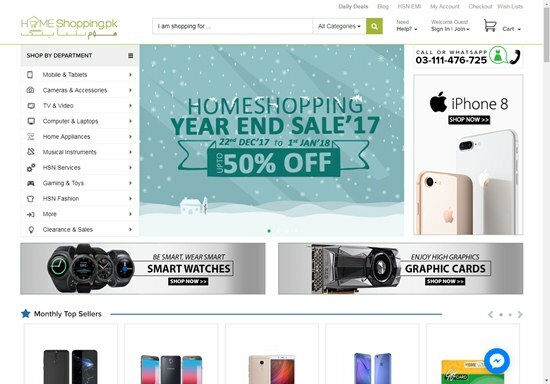 iShopping.pk deals in selling video game consoles, smartphones, tablet PC, home theaters, wearable gadgets, media players, fashion and beauty products for men, women and kids. Telemart offers mobiles, tablets, fashion products, home and kitchen appliances, health care products etc. They offers weekly deals and offers. It is owned by the team behind HamariWeb.com. It offers free delivery and days return policy. They sell women and men clothing, jewelry, watches, car accessories, hand bags, bed sheets and much more. 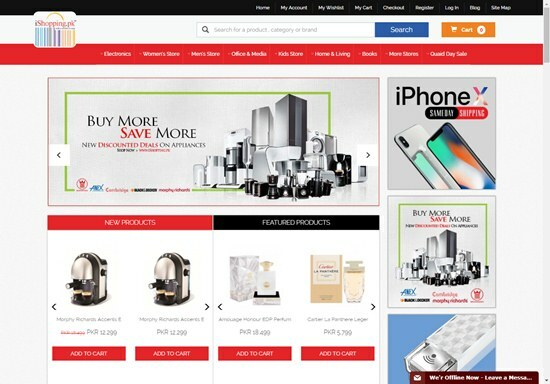 It is also one of the best online shop in Pakistan that is offering a lot of goods and products ranges from electronics, mobile, computers, home appliances, clothing, fashion accessories and much more. The delivery and payment system of 24hours.pk is also very simple. It’d be great to learn what shopping websites do you use and why. Your feedback could help other customers to make their online shopping experience even better.